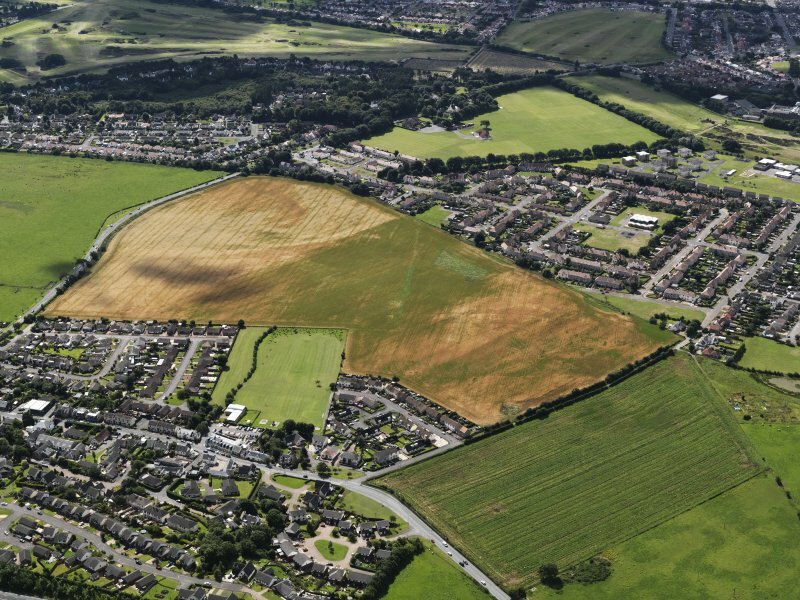 Oblique aerial view of the cropmarks of the rig with Loans in the foreground and Muirhead beyond, looking to the SSW. 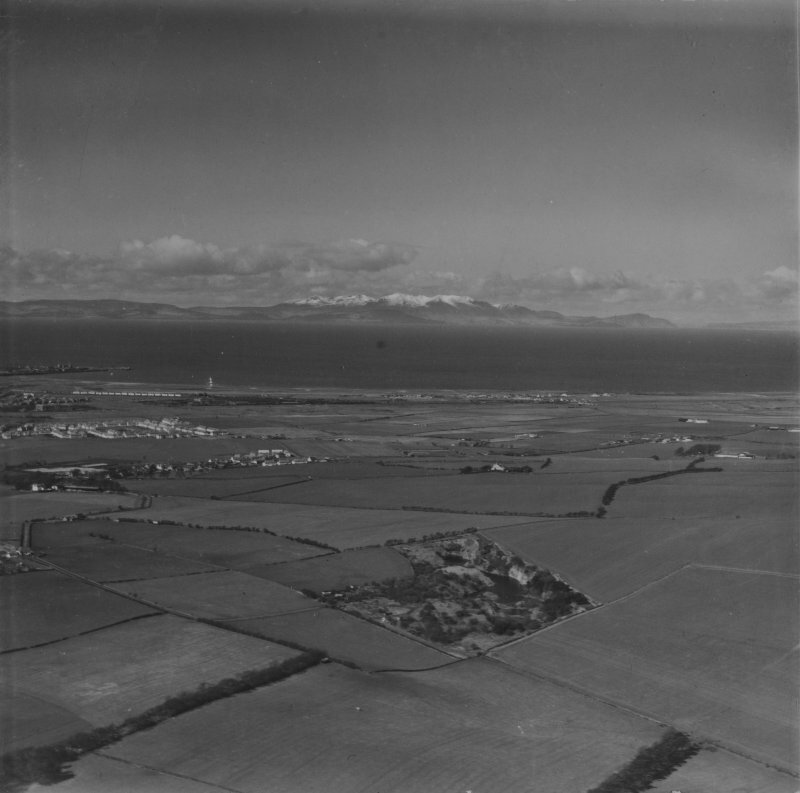 Firth of Clyde, general view, showing Loans to Isle of Arran. Oblique aerial photograph taken facing west. This image has been produced from a print. This field boundary has been recorded as a cropmark on oblique aerial photographs (RCAHMSAP 2010). It is depicted on the 1st edition of the OS 6-inch map (Ayrshire 1860, sheet 56NS33sw). There is also a block of rig orientated NNE-SSW, with a 7m spacing between furrows.